If you weren’t already aware, Nottingham is famous for having underground caves that are connected to many of the buildings. It seemed almost inevitable that, at some point, a venue would open that made use of those caves as an integral part of a game. 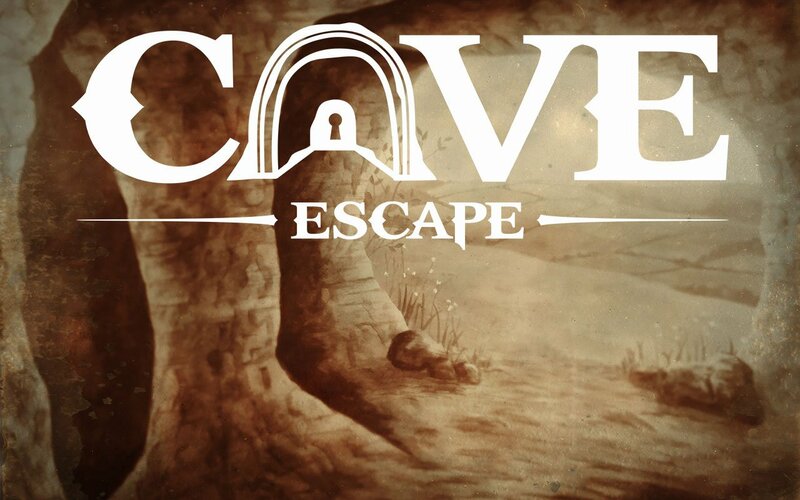 Cave Escape is, unsurprisingly, that venue. I didn’t really know what to expect when we headed along, but what I definitely didn’t expect was just a traditional shop front. This looked like a perfectly normal (admittedly well decorated) business, and I started to wonder whether the name of the establishment just reflected the decoration in their rooms rather than their actual location. A quick chat later and we found out that this is most definitely a cave-based game as we descended the stairs, felt the temperature drop and saw our first glimpse of the proper cave interior of the basement. To be honest, they barely needed to tell us a story at all but, before we entered, they gave us a brief precis of the experience ahead – a gothic-themed game where we would have to vanquish a vampire. You have been called upon by Professor Abraham Van Helsing, the noted Dutch Metaphysician and his former student, Dr. John Seward whom’s patient, the aristocrat – Lucy Westenra, is presenting a series of bizarre symptoms. She seems to be drawn under the power of an unknown force which yolks her strength, day by day. What is causing her decline and could it be in some way connected to the eery appearance of the deserted ship upon Whitby’s shore? Only you can find the truth! One thing I was certain of is that this game would be entirely set in a cave. I shouldn’t have been, though. I mean, technically it was, but it absolutely did not feel like that. They still made use of the cave setting, though, taking advantage of the solidity and age of the hollowed-out structure to create scenes that were truly impressive. And not only impressive but incredibly varied too. This game tells its narrative in several ways, but it’s in the backdrops they’ve created that the story really stood out for me. They’ve crafted puzzles along the way that fit with the theme, using tech to add some magic to the experience, but rooting it in old-fashioned mechanics that are in keeping with the Victorian setting. Expect to get stuck into some pretty solid searching (including a couple of searches that border on the unfair), but don’t worry: there are plenty of puzzles to keep you busy too. Another thing that stood out for me was the signposting present throughout the room, which helped to point us in the right direction at each stage and hence kept us flowing through the game. Exploring the space was half the joy of this experience and, as we moved forward in our journey, I thoroughly approved of the transitions between the scenes. The sense of anticipation, the surprise as we entered a new space or just the mechanics of how they’d created that step forward all had me charmed. Throughout the game, you’ll find an audio track that sets the mood for where you are. As things progress, they elevate the tension by increasing the tempo and level of the track so that, by the time you reach the finale, your heart is likely to be racing along. The ending they’d chosen was always going to be difficult to pull off and, while they did a good job of it, purists may find that it doesn’t quite reach the level of immersion of the rest of the room. That’s a minor detail, though, on what was a good end to a beautifully crafted room. We escaped in around forty minutes having taken two clues – one for a search fail and one where we were being overly gentle with the set. Carfax is a special game. They’ve taken a beautiful setting and levelled it up with their creative skills. That, along with good puzzles and background audio, helps to tell a wonderful story with a finale that makes sense and brings closure to the experience. This is a game that’s worth travelling for and, with space for several rooms at the venue, I’m excited to see what they produce next. I loved playing this as a two, and I’d recommend enthusiasts go along in a team of that size, but I don’t think it would be a problem to take along four – those searches will be that little bit easier, and it’s not as crowded as you might imagine.